My father, William Gothard, has spent his entire life painting and drawing, and continues to paint nearly every day now, at the age of 74. Happy Father's Day, Dad....you are an inspiration to me and have taught me the value of good drawing. Of course, my father will never see this as he is the original definition of "luddite'", shunning most technology (has never had a driver's license, computer, or cell phone). 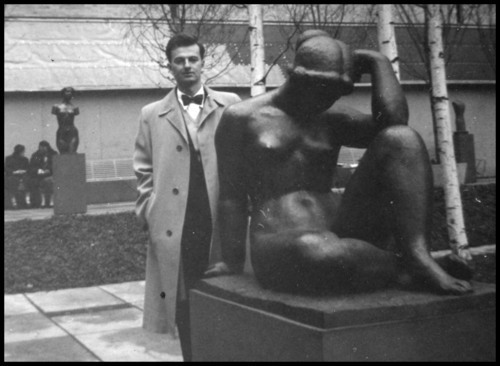 Aligning himself with the Social Realism school, he studied with some of the greats, from Raphael Soyer (who was a close friend and painted me as a child), to Joseph Hirsch, and has rubbed elbows with a number of the titans in art. Content to be left alone to paint, read, and listen to good music, my dad has never promoted his work to galleries or museums, but has had some impressive shows over the years. He has a number of patrons actively collecting and purchasing his work. I've set up a gallery under his name here where you can enjoy a sampling of his work. I envy you for having an artist for a father, David. I can't imagine how much you must have learned from him...well, actually I can see it in your work!